Jashinka in Dynaman- Aside from being racists, they were also believers of the survival of the fittest even among themselves. Gozma in Changeman- Bazoo spared the strong and destroyed the weak. In fact, Ahames carried out the idea of survival of the fittest to greater heights. Bazoo further emphasizes this because most of them don't serve Bazoo at their own free will, it's only because he's the strongest. Mess in Flashman- They treated every specimen as experiments to seek to create the strongest organism. 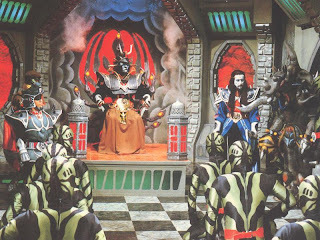 Tube in Maskman- Ever since Zeba took over the throne by force, the once peaceful kingdom became a place where strength rules all. Sice Zeba is the strongest (being in reality Lethal Dobler II) so he rules above everyone else. 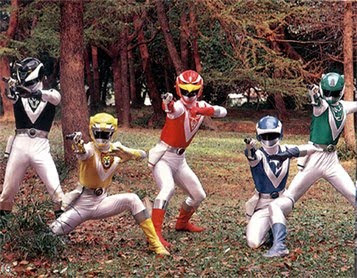 Liveman was the first to feature students as rangers. It showed the value of true humanitarian education vs. the oppressive education of Volt. Turboranger featured teenagers fighting against invaders. I think the emphasis of education happens mostly on Riki and Youhei as they learn along the way the importance of school. In the finale, the end song was "Graduation of Youth". 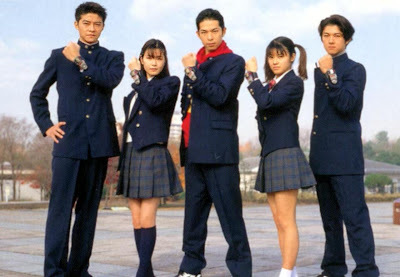 Fiveman was a team of not only siblings but also teachers in "New Town School". Gaku taught science, Ken taught sports, Kasumi taught Math, Fumiya taught languages and Remi taught music. Momoko teaches Tai Chi Chuan to children. Jou Ohara later became a teacher in a rebuilt Academia. Kenta Date was revealed he became a teacher at Moroboshi High. What he's teaching remains unknown so he might be teaching something else. Jan Kandou became a martial arts sensei at the end of Gekiranger and continued doing so in Gokaiger. Mako Shiraishi is a kindergarten teacher. She may have continued her job as one in Hawaii. 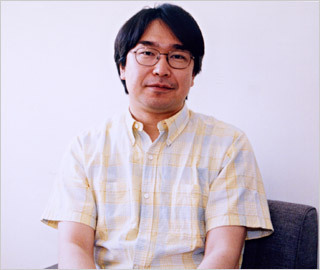 He demonstrates his ability to do crazy humor with Ako's episode with her ex-boyfriend. I got to admit that this episode was just plain funny and teaches a moral lesson about aggressiveness and not to mention too much instant noodles can be bad for you in figurative ways. Episode 19- "I Can See"
Episode 26- "I'm A Primitive"
Okay I got to admit this is old news which at first didn't excite me, my other fellow Bloggers have beat me to it but thanks to them anyway. So here's what I'm currently thinking with what I'm seeing. The trailer does remind me of the time when I was still a child and me and my fellow Tokusatsu fans would argue A LOT about to which is better- Super Sentai or Kamen Rider. Now this might be the movie to answer it all. I got to admit I enjoyed Kamen Rider as my imaginary friends, Kotaro Minami was a childhood hero side by side with Takeru/Red Mask. Some Filipinos enjoyed watching Kamen Rider Black, Bioman, Maskman, Turboranger, Fiveman and Jetman as children although they only saw through Fiveman and Jetman from start to finish. Filipinos have enjoyed Ryuki, Blade and 555 on TV while still what no Sentai? Okay now on with rambling on this otherwise neat idea! CONGRATULATIONS TO ALL COLLEGE STUDENTS! DO WELL IN THE FUTURE! LEARNING NEVER STOPS! CONGRATULATIONS TO ALL HIGH SCHOOL STUDENTS- CHOOSE THE COURSE THAT SUITS YOU BEST! CONGRATULATIONS TO ALL ELEMENTARY STUDENTS, HIGH SCHOOL IS A DIFFERENT LEVEL! Let's all be realistic with education, not too theoretical! So let's all work together for a better future! "Super Sentai vs. Super Sentai" by Chris X- This is the making of what he'd call "not your usual Sentai". Okay I got to admit that it may be slow in getting a new chapter but don't blame him, he has his life to live to earn his living as he juggles between work and hobby. The story of Takeru Shiba being warped back into the past and teams up with Gai Yuki, Dai, Sayaka, Remi, Miki and Youhei against Radiguet's team of villains. I personally find this story to be what I'd call "you meeting your childhood heroes" type of Sentai fan fiction. Mako has finally appeared to join the team too.